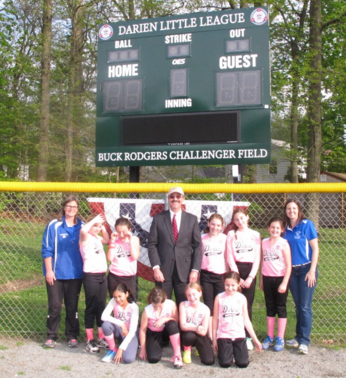 Halstead Property’s Darien office is proud to share that it was involved in three important community-based giving initiatives in Darien over the past few months. Halstead served as the Community Fund of Darien’s “Title Sponsor” for the fund’s 37th Annual Darien Volunteer Recognition Day. The event, which convenes volunteers and local leaders, honors local residents who have given back to the community in substantial ways. Halstead partnered with Darien Public Schools to raise money to provide Kimochis Kits, social-emotional learning tools, to local military families. The Kimochis Kits include items, such as props and activities, that families can use to foster a sense of connection and help children to effectively communicate feelings and develop techniques for handling life’s challenging moments with character. The kits cost approximately $150 each. “Halstead is committed to affecting positive change in the communities in which we work. We’re proud of the contributions we’ve been able to make in Darien over the past few months and look forward to supporting initiatives that enhance the community for years to come,” said Charlotte Felt and Robyn Kammerer, who manage the office together as executive director of Sales. As one of the top residential real estate brokerage firms in the New York metropolitan area, Halstead Property has more than 1,300 sales and rental agents located in premier retail storefront offices in Manhattan, Brooklyn, Long Island City, Riverdale, the Hamptons, Hudson Valley, New Jersey and Fairfield County, Connecticut. 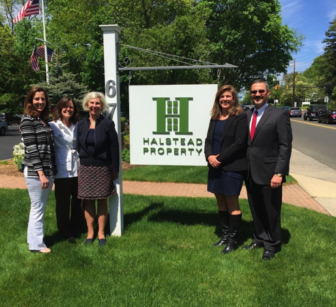 In addition, the Development Marketing Division of Halstead Property is the exclusive sales and marketing firm for many new developments in the tristate area and through the Property Management Division, Halstead manages more than 25,000 residential units within 250 buildings.